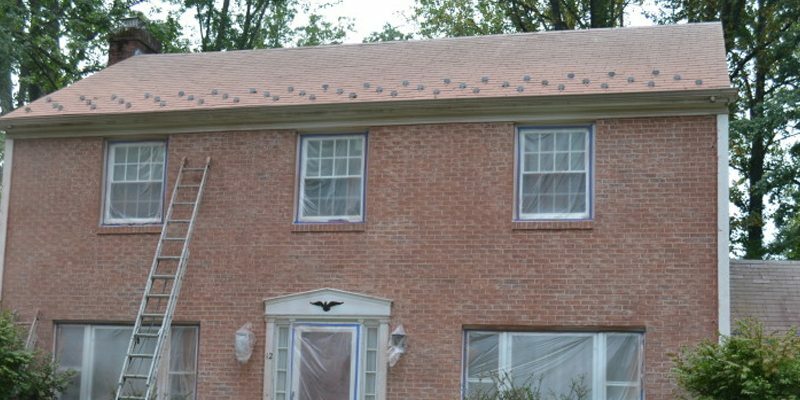 The owners of this Morristown, NJ home wanted a new look for the exterior of their home. These homeowners called in our team at Monk’s to sand down their painted brick exterior to achieve a more rustic, weathered look. Our team worked with the homeowners to achieve exactly the look they were hoping to obtain. While on site our team also replaced the home’s rotting front wood corners with azek. This entire project was completed in only three days. To begin this project our team seleted a 3′ x 3′ section of the house and carefully sanded it, under the homeowners’ supervision, until the perfect texture was found. Once the customer and our team had agreed on the texture for the home our team could sand the whole house. While sanding the house our team inspected all of the exterior trim. It was determined that the house’s front corners had severely rotted trim. 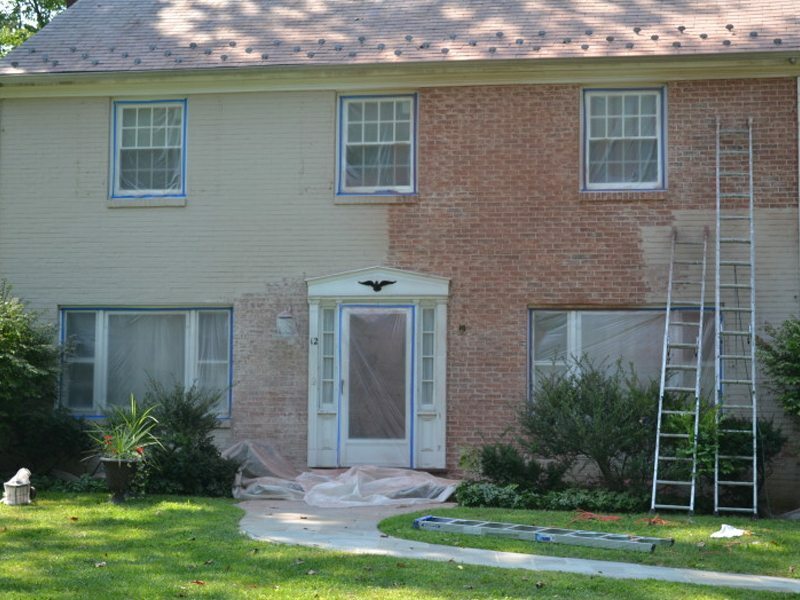 Sanding this painted brick exterior is an example of relatively simple projects that can make a large impact on the look of your home. Our team removed all of the rotted trim and replaced it with azek, a moisture resistant composite material. Once the painted brick was thoroughly sanded and all of the rotted trim was replaced and repaired with new, moisture resistant, azek. 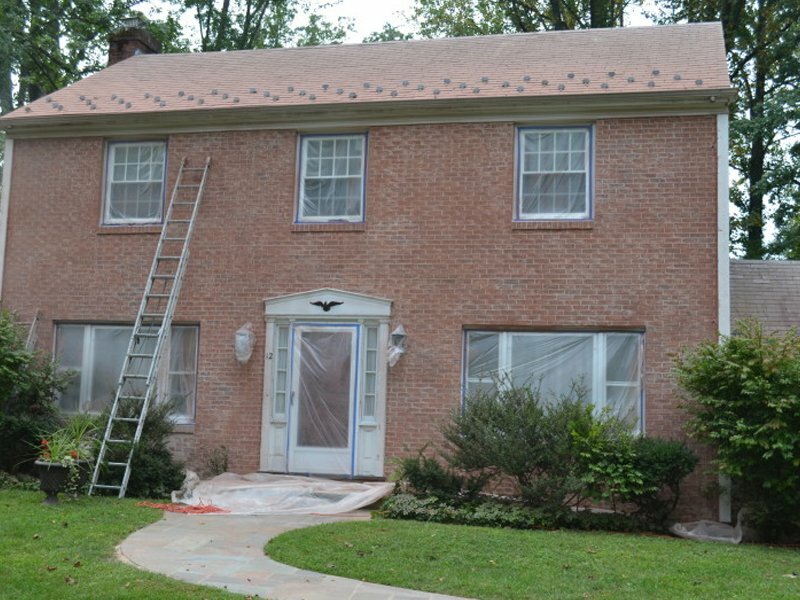 In only three days our team at Monk’s had updated the exterior of this Morristown, NJ home with beautifully sanded painted brick and new exterior trim. Other Types of Work: exterior trim upgrade, or this fence painting project. 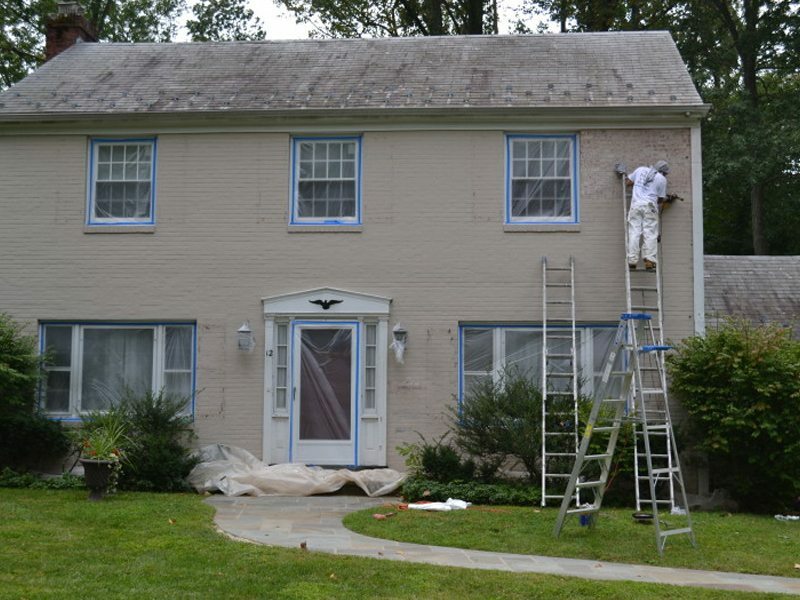 If you are considering a change for the exterior of your home we would like the opportunity to tell you why we think we are the best exterior painting contractor in Morristown, NJ 07960.